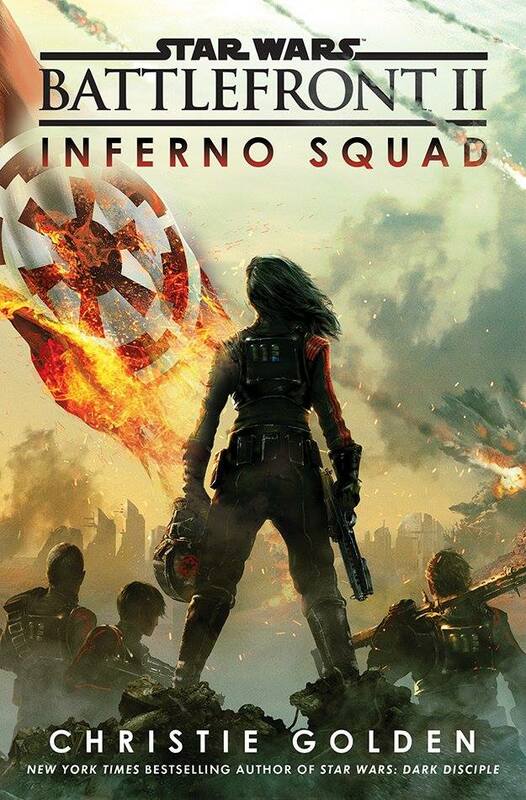 USA Today posted an exclusive excerpt from Christie Golden’s prequel novel to Star Wars: Battlefront II, titled Inferno Squad. With about a month away from release, this excerpt gives us our first real glance at the protagonist of the story, Iden Versio, and her devotion to the Empire in the midst of battle. At this point in the story, Versio is Senior Lieutenant of Inferno Squad. This excerpt puts her in the tail end of the Battle of Yavin, literally picking off rebel ships like it’s nothing. Iden Versio can be compared to other Imperial characters we’ve grown to love, such as Rae Sloane or Ciena Ree, but where it differs is the readers are put entirely in the mindset of the Imperials. Based on this excerpt, the Rebels are a mere afterthought and are given no characterization. They are the mindless villains that used to be only associated with the Empire. It’s an interesting writing style that could make for a really intriguing novel. Read below for the excerpt. The story looks to be loaded with a lot of fun, action, and suspense. I found it interesting that Iden is such a believer of the Empire, yet she lives in fear. Just a mention of Vader is enough to force Iden into falling back into line. The new canon novels have done a great job at humanizing the Imperials and making the reader think again on whether aspects of the Empire could have worked. What this excerpt shows me is that regardless of all that, it is still a government of fear. The soldiers, officers–everyone–lives in fear. That’s what has always separated the Empire from the Republic, and I am very curious at how much that will play into Inferno Squad. Look for this book and online on July 25. And don’t forget to pre-order the game right now online. Star Wars: Battlefront II hits game stores November 14.